Panasonic Wet/Dry Cordless Electric Trimmer Only $24.99! From $49.99! You are here: Home / Great Deals / Amazon Deals / Panasonic Wet/Dry Cordless Electric Trimmer Only $24.99! From $49.99! This is a great gift idea from Amazon! Order the Panasonic Wet and Dry Cordless Electric Beard and Hair Trimmer for Men for only $24.99! Regularly $49.99! This cordless electric trimmer for men can be used anytime, anywhere to easily trim and style beard and mustaches. These precision blades are made from high-quality, hypoallergenic stainless steel for irritation-free trimming even on sensitive skin. It also has a quick-adjust trimmer dial located on the sure-grip, ergonomic men’s cordless trimmer handle that provides 19 individual settings. This Panasonic beard clipper for men is also wet and dry convenient. When you’re in a hurry, this trimmer delivers a quick, dry trim over the sink or on-the-go. It also performs just as effective when used in the shower. 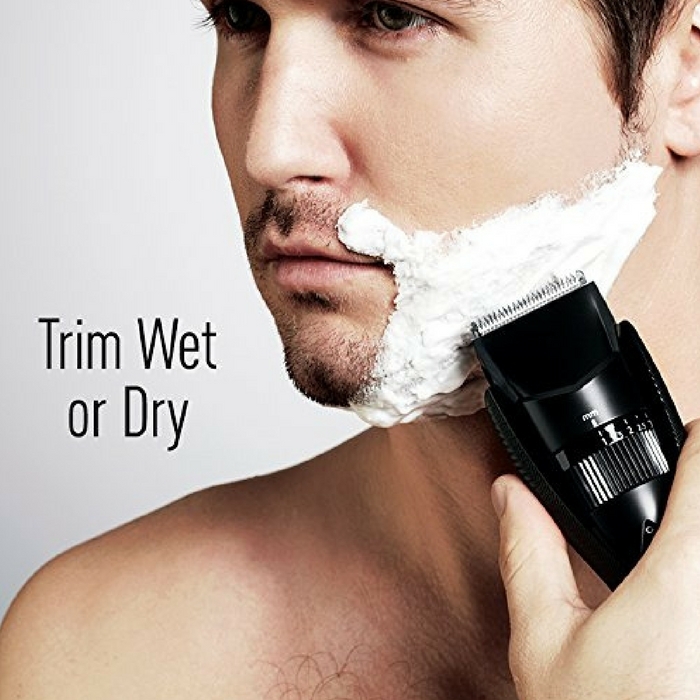 The Men’s Electric Hair Trimmer uses durable, super-sharp 45° angle stainless-steel blades to create the optimal cutting edge for quick, efficient hair, mustache and beard trimming. Beard and Hair Clipper comb attachment, AC charging/storage stand included. Cordless, fully immersible design lets you trim quickly over the sink or on the go, as well as in the shower for complete wet/dry convenience.